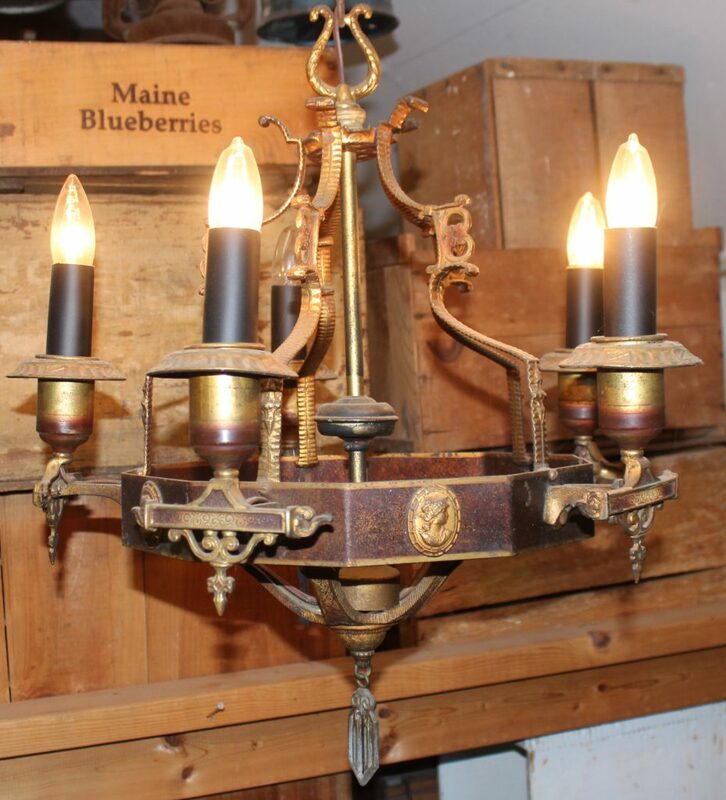 This Gothic Revival chandelier has beautiful cast brass accents. It’s fairly compact so it would work well in a smaller space. Excellent working condition.